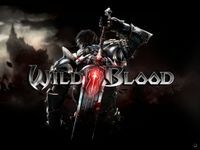 Wild Blood is a 3rd person action RPG based around the myth of King Arthur. The player controls Lancelot in his quest to stop Arthur and Morgana from opening a gate to hell. In this version of the myth, King Arthur is mad with jealousy and allies himself with the forces of evil.